Suitable for vegans. 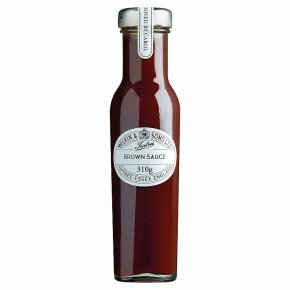 Suitable for vegetarians.A rich fruity brown sauce made using a traditional recipe from the 1850's. The thick sauce has a tangy but smoky flavour, a real 'home made' feel.